Multimedia + Gaming? 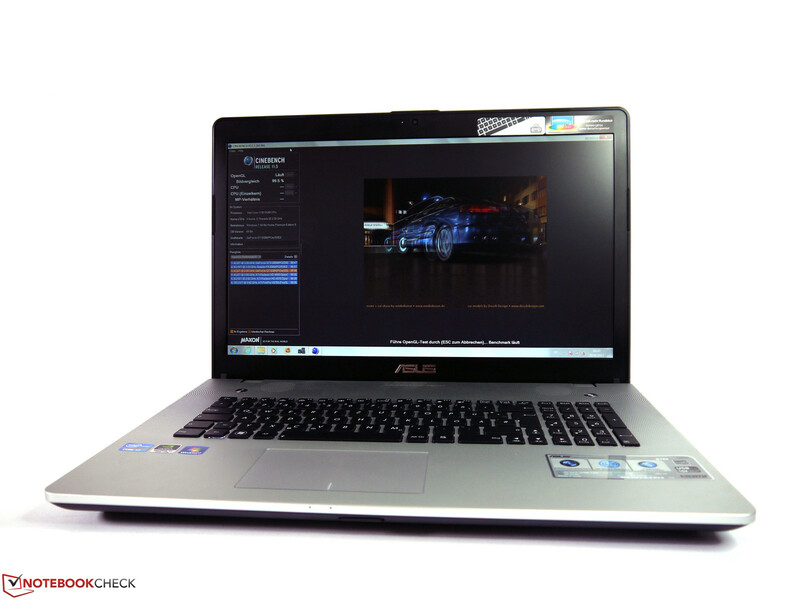 Compared to the N76VM models, the main distinguishing feature of the Asus N76VZ is a significantly more potent graphics resolution. We tested in detail whether Nvidia’s GT 650M will turn the current test model into a hidden gamer. 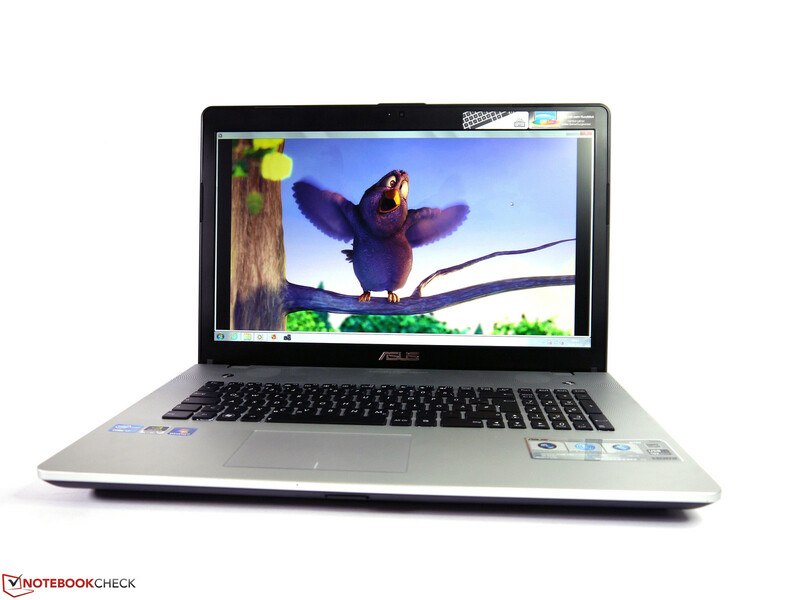 Some months ago, we already had a look at the Asus N76VM and were very pleased by the extremely well-done multimedia notebook. Casing quality, features, keyboard, display, CPU performance and sound system utterly convinced and received good or excellent grades throughout. 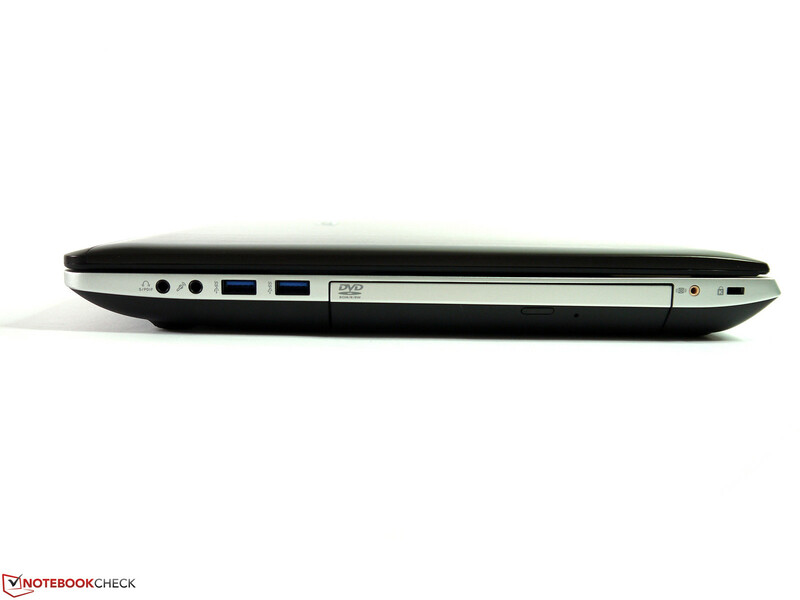 The fact that the 17-inch notebook loses important points in the mobility assessment does depress the final result, but this should not affect users looking for a powerful all-rounder for the desk. As the mobility aspect cannot be improved anymore, the Asus N76 can only achieve a better overall ranking with an improved performance. Here Nvidia’s Geforce GT 650M middle-range graphics card comes into play, which could make the contestant interesting even for regular players. 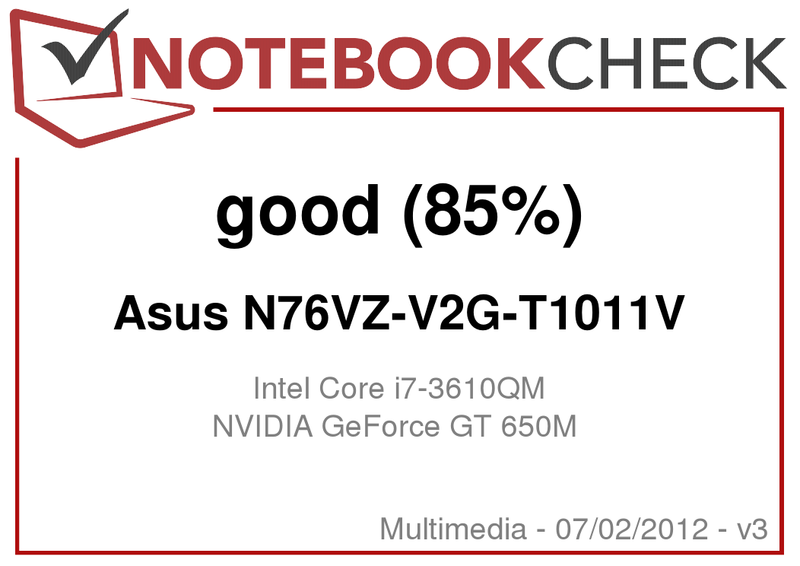 The equipment of our test model, costing around 1100 EUR, is almost identically to the already tested N76VM model, only difference being the mentioned graphics card and the hard drive equipment (only 1 x 1 TB). Therefore the following test will only examine the differences between this test and the results of the N76VM. The chapters case, equipment, input device and display are deleted as there are no noticeable differences, however, we will test how system performance and emission change when the regular hard drive is replaced by a Solid State Drive. Apart from the faster GPU, the complete inner workings of the N76VZ are identical with the already-tested N76VM. 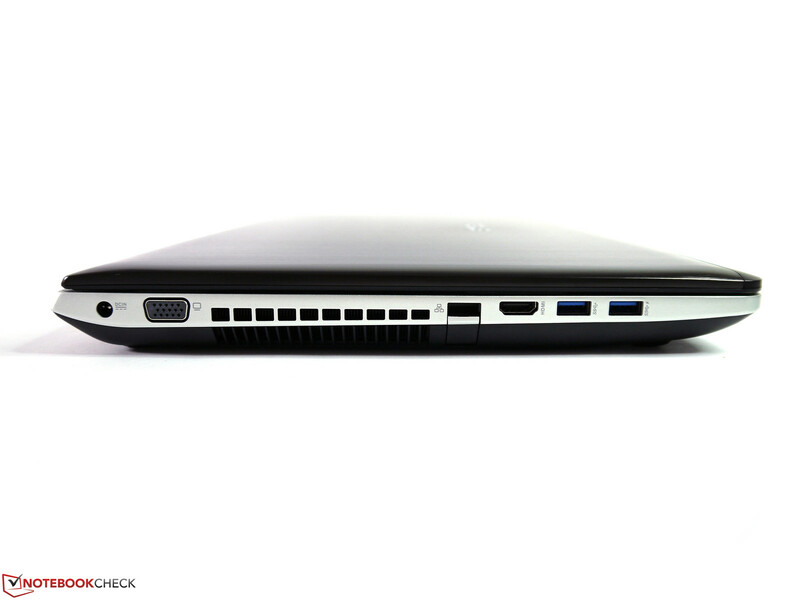 Chipset, CPU, Ram-equipment, W-LAN module, gigabit-LAN and many more components are the same type. Even the hard drive and the optical disk drive show the same labels, though here in particular the producers tend to change the supplier. As the testers are seemingly models of the same charge, no differences are found here. 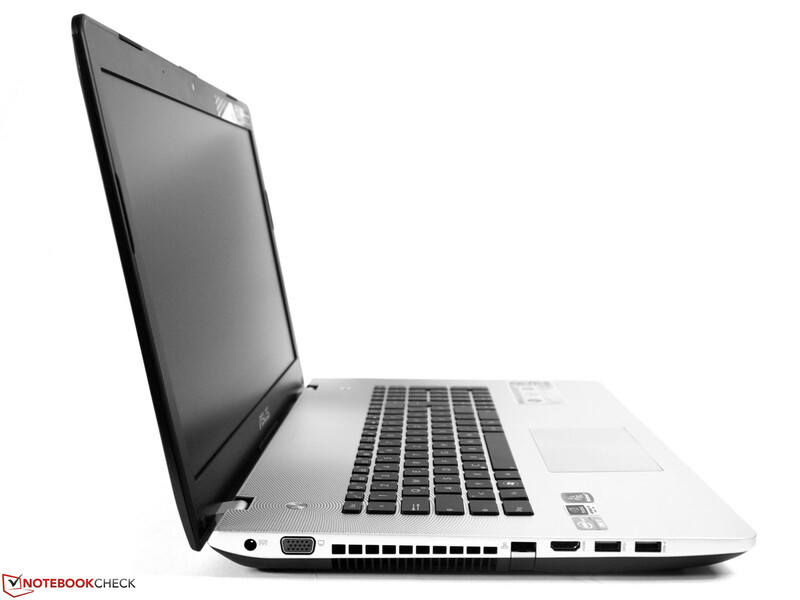 Therefore our tester has the powerful Intel Core i7-3610QM CPU as well as 8 GB DDR3 RAM and Intel’s HM76 chipset Pantherpoint as mainboard. Now Nvidia’s GT 650M is responsible for the 3D graphics performance and this time there is only a 1 TB hard drive working as mass storage device. Therefore concerning the output scatter, the CPU Benchmarks are on an almost identical level. The Cinebench R11.5 64 bit reaches 6.23 : 6.18 points in the multicore assessment and 123780 instead of 124000 points in the Dhrystone-benchmark. This tester’s processor does throttle minimally during longer high-performance CPU and 3D usage. According to HW64 and CPU-Z, there seems to be a thermic threshold at 97°C, which the system tries not to exceed. 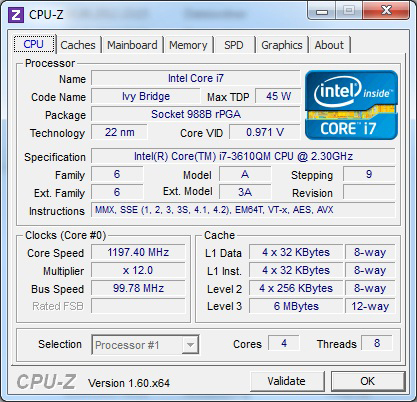 After shortly diving below 2 GHz, the Intel Core i7-3610QM performance recovers and steadily works without TurboBoost within its normal pace at approximately 2700 MHz. In battery mode and if only using CPU, there is no reduction in performance. If, however, the Nvidia graphis are strained too, the CPU shortly reduces it speed down to 1 GHz, to then rise up again to 3 GHz. In this case, the processor repeats this behavior on a regular basis. 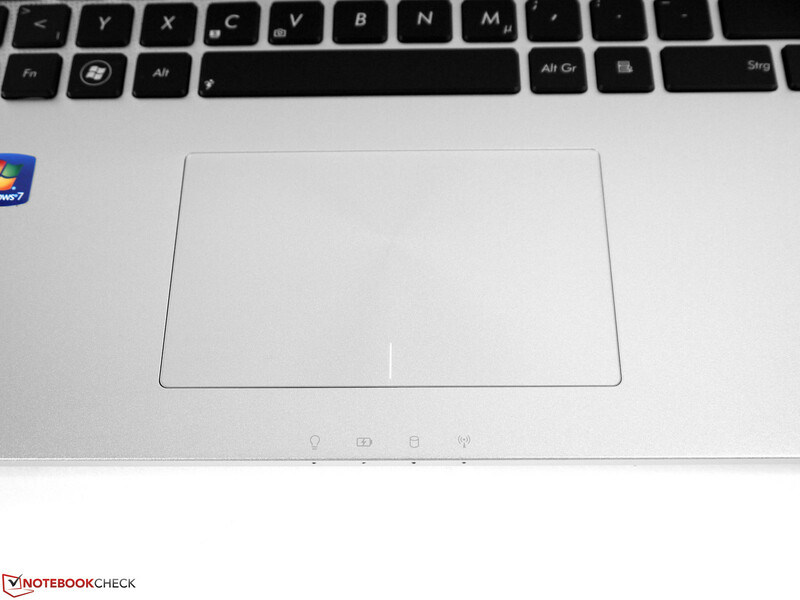 According to HW64 and CPU-Z, this measure manages to keep the temperature around 75°C. 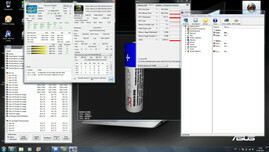 The stronger graphics card in the PC Mark Vantage results in an approx. 600 point-higher score in the overall ranking (9163 : 8584 points). The PC Mark 7 reaches 2610 instead of 2469 points. If a Solid State Drive is used instead of the conventional hard drive, the difference becomes even more noticeable. 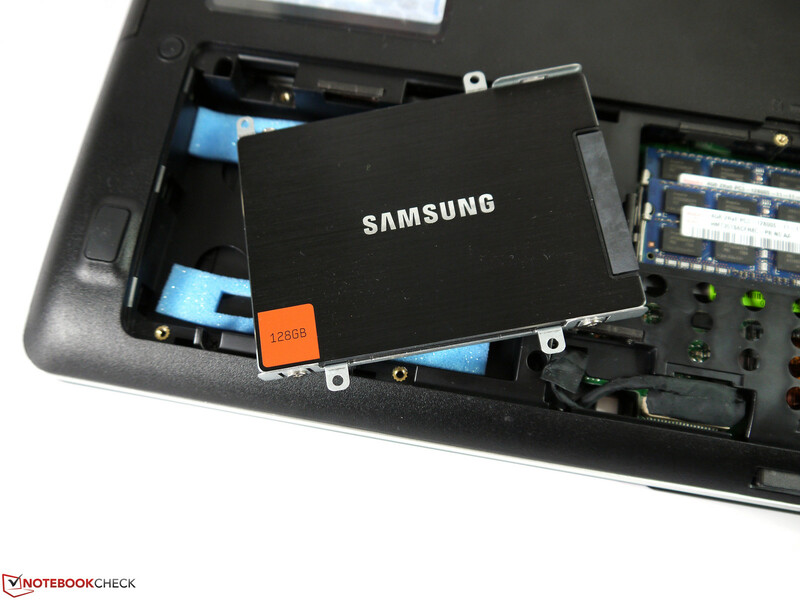 We decided to choose the Samsung SSD 830 for this test because it offers an exceptional value for money and many interested people put it on their wish list. What the user experiences first-hand whenever he starts the machine is the system booting time being significantly reduced from more than 40 sec to less than 10 sec. Subjectively seen, documents, programs and files clearly respond faster too. This results in doubled scores of 18846 points for the PC Mark Vantage and 4411 for the PC Mark 7. Therefore, applying a Solid State Drive is the most effective possibility to noticeably enhance system performance, not only for this notebook. 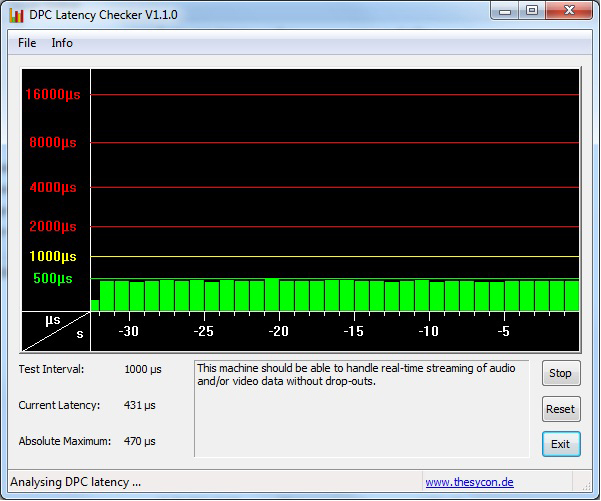 The result of the DPC Latency Checker is even better this time and is constantly located in the lower green area. The chance that synchronization problems appear when using external peripherals is lower than with the N76VM. As already mentioned, in contrast to the already-tested N76VM, the tester is equipped with a 1 TB Seagate Momentus Spinpoint M8 hard drive only. The performance data as well as the relatively loud operating noise are therefore almost identical, but decline a bit because the tester has been in use for a bit longer and is no longer brand new. 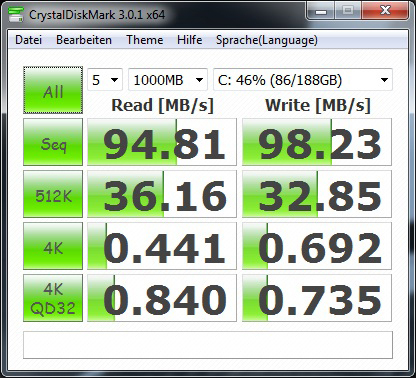 With the Crystal Disk Mark we calculated 94 and 98 MB/s in sequential read and write. 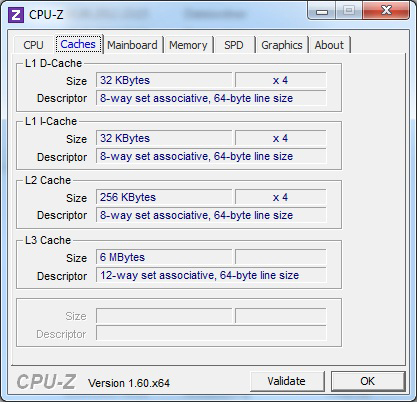 Apart from this, the Asus N76VZ offers the same possibilities concerning the mass storage as the N76VM. There are two installation slots, the empty slots has a track frame pre-installed already and the necessary screws for fixing a drive are also included in the package. Upgrading made easy! As already mentioned, we tested the upgrading with a SSD by Samsung, with which better performance data can be reached than with a conventional hard drive. 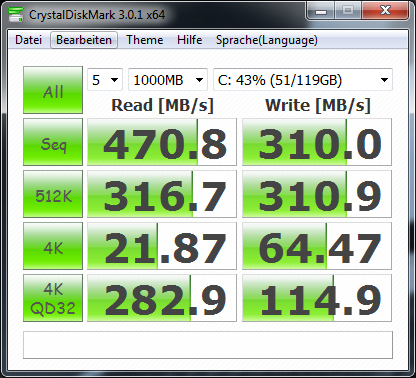 Almost 500 MB/s in sequential reading and more than 300 MB/s in sequential writing are amazing. That is why in our opinion the ideal combination is a fast Solid State Drive as system drive (with at least 128 GB capacity) and a second, quiet, conventional hard drive as mass storage for files etc. For instance, the Toshibas MK3265GSX (320 GB), which we installed together with the Samsung SSD as a test, is perfectly quiet when not directly accessed. Nvidia’s Geforce GT 650M is based on the current Kepler architecture and is produced with the 28-nm process. The aim is to consume less but increase performance in comparison to the Fermi generation. 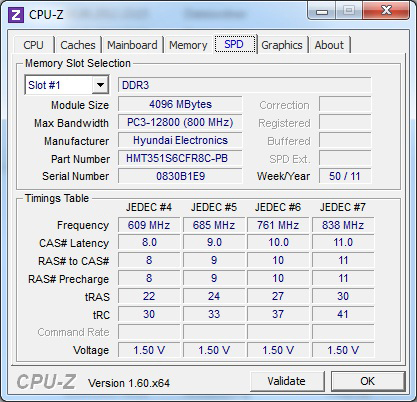 2 GB dedicated DDR3 graphics memory, 128 bit memory bandwidth, 900 MHz storing interval and 835 MHz core rate, which can be increased up to 950 MHz via turbo, are promising in regarding 3D performance. The 3D Mark Vantage reaches 8994 : 5541 points, the 3D Mark 11 2371 : 1288 points and the Heaven 2.1 26.9 : 16.4 points, compared to N76VM’s GT 630M. These are good improvements in performance, which should provide good gaming performance in practice. Whether individual resolution scales out of the game or is a 1:1 resolution with black frames depends on the game and the individual settings. The display of graphics loses a bit of sharpness in low resolutions, which are upscaled on the screen, depending on title and resolution. This, however, is true for other displays as well and should be unimportant for most of the users while playing computer games. 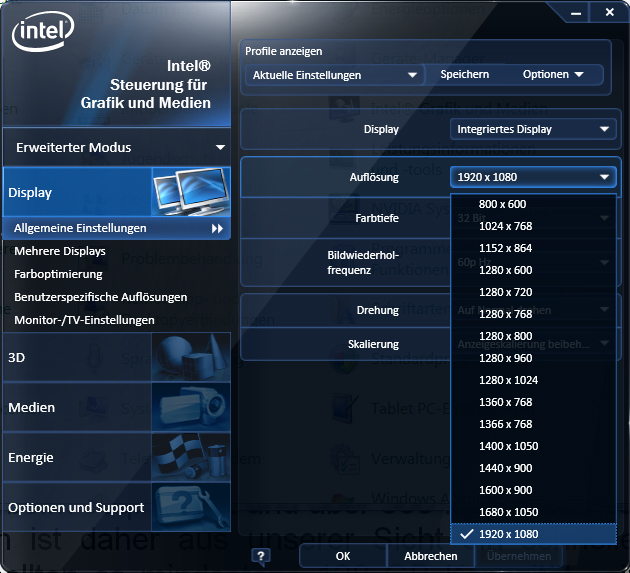 There is the alternative to adjust the resolution of the display itself. 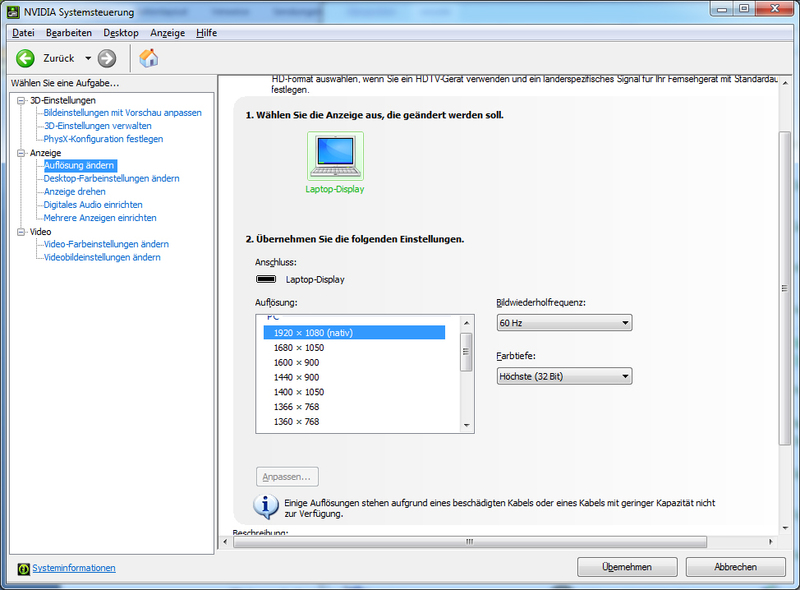 The Nvidia driver as well as the Intel driver offer numerous resolution alternatives for this. In contrast to the native Full HD resolution, all alternatives lose more or less a bit of sharpness with the 16:9 resolutions still looking the best. Here the graphic display is also not distorted in contrast to the 16:10 and 4:3 alternatives. A non-distorted, non-scaled display with black bars is not possible. We do no recommend applying one of the alternatives for resolution. If icons, symbols or scripts are displayed too small, it is still the best to keep the original resolution and to go for the native 125% display (control panel display). 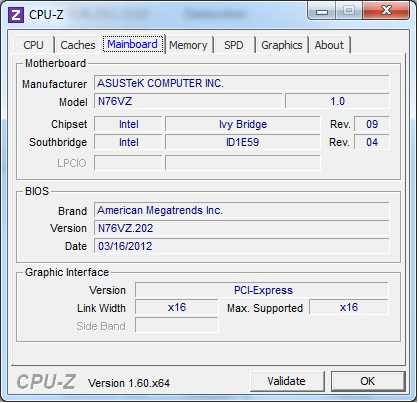 This system, too, works CPU-friendly while both processor and graphics are utilized by Furmark and Prime95. 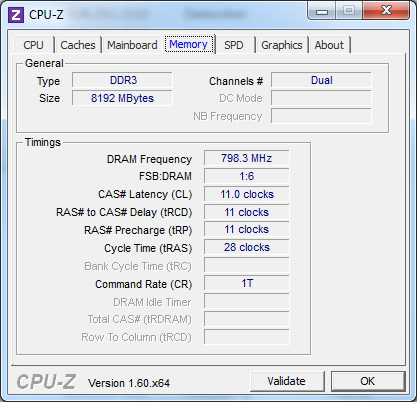 While the CPU only slightly performances below its rated output, the dedicated graphics unit continuously reduces its clock rate under permanent load. The clock rates we discovered are 850-585-405-270 MHz. GPU-Z and HW64 list the GPU temperature 80-82°C. Without CPU utilization, meaning without Prime95 in compensated energy profile, the GPU frequency decreases from 950 and 920 to constant 835 MHz (nominal frequency), according to GPU-Z and HW64, and does not go below this. The GPU temperature stays on constant 77°C. While using the battery, the performance peak of 950 MHz can occasionally be reached, however is about 135 MHz in constant change due to reduced frequency. As in the CPU, the change in frequencies results in lower temperature around 53°C. Instead of 40.17 bps in Cinebench R11.5, only 26.15 bps can be reached. So in battery mode, an approx. 35% reduced GPU performance is to be expected. The games tested by us are well playable in high quality setting, only in native resolution with high quality setting it is reaching its limits. This includes Anno 2070 as well as games not tested, such as Max Payne, Risen 2 or Battleship 3. Look at our comprising list of comparisons regarding gaming performance and graphics cards. Outside our normal test setting, we furthermore tested World of Warcraft with higher resolution. At WSXGA+ (1680x1050) and high quality setting, one can expect 71 fps, at FullHD and high quality 63 fps and at FullHD with ultra setting 34 fps. Those who regularly want to play with the N76 but don’t need the highest quality setting all the time will make a good choice with the Asus N76VZ. The difference in performance to the N76VM with Nvidia GT 630M is not only measurable, but also clearly noticeable with around 10 to 50 fps, depending on the title and settings, and therefore doubtlessly the better choice. The noise development almost does not change at all during low performance. 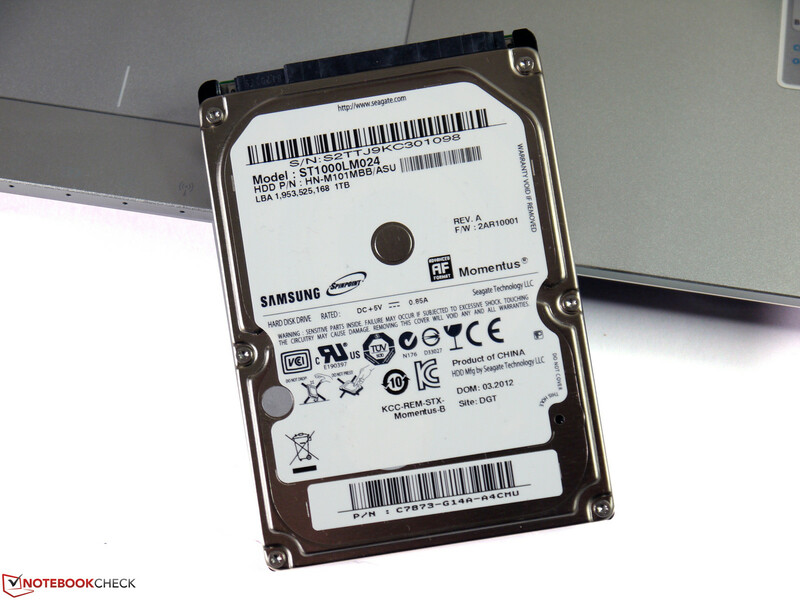 Replacing the regular hard drive with the Samsung SSD 830, however, turns the system partially silent. In case the fan does turn on low performance, we can only measure 30.6 dB(A). This is way more convenient that the Seagate hard drive. If the system, now in regular configuration, goes to the maximum, the fan turns on even higher levels to remove the waste heat from the casing than with the N76VM. Here the system reaches 40.9 dB(A), which is clearly audibly above the maximum volume of the N76VM. The increased fan activity causes the warming up of the casing, apart from the central keyboard area (above CPU and GPU), even to be minimally lower than with the N76VM. The area around the air outlet still gets really warm. The excellent sound quality is the same as with the N76VM. We could also confirm the occasionally occurring plopping and clicking when opening windows and programs as well as scrolling browsers as reported by some users. It is relatively quiet and can only be heard in a quiet environment, but cannot really be reproduced. It does not affect the sound output of music and films. We couldn’t hear any plopping or clicking without Power4Gear Tool. This won’t help other users who contacted us on our forum. Only an Asus drive update will presumably help here. The Battery Eater Readers Test shows that the battery life is around half an hour longer compared to the N76VM and half an hour shorter in the Classic Test. While the former battery life improvement could be due to the missing second hard drive and a lower power consumption of the Nvidia GPU in standby mode, the increased power consumption in the Classic test can presumably be traced back to another GPU-CPU dependency. As the GPU often tends to slow the frequency down to 135 MHz, the CPU may activate the turbo mode more often and therefore increase the overall power consumption. The W-LAN and DVD test didn’t come up with anything new. The test results are within the usual observational error. 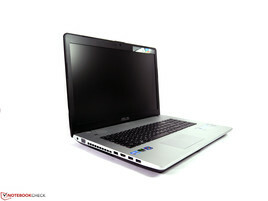 Nvidia’s Geforce GT 650M goes well with the Asus N76 and thus furthermore upgrates the multimedia notebook. Many games now perform in high quality setting and/ or native resolution without any issues. The significantly increased 3D graphics performance of the tester comes together with higher but still moderate air fan activity during maximum performance. The heat development therefore only slightly changes and doesn’t have further effects. 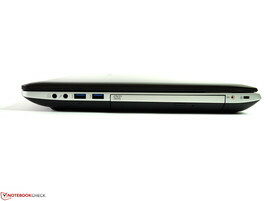 Furthermore the features of both testers N76VM and N76VZ are identical. Display and sound are very good and the not so great touchpad and limited mobility continue affecting the overall ranking in a negative way. 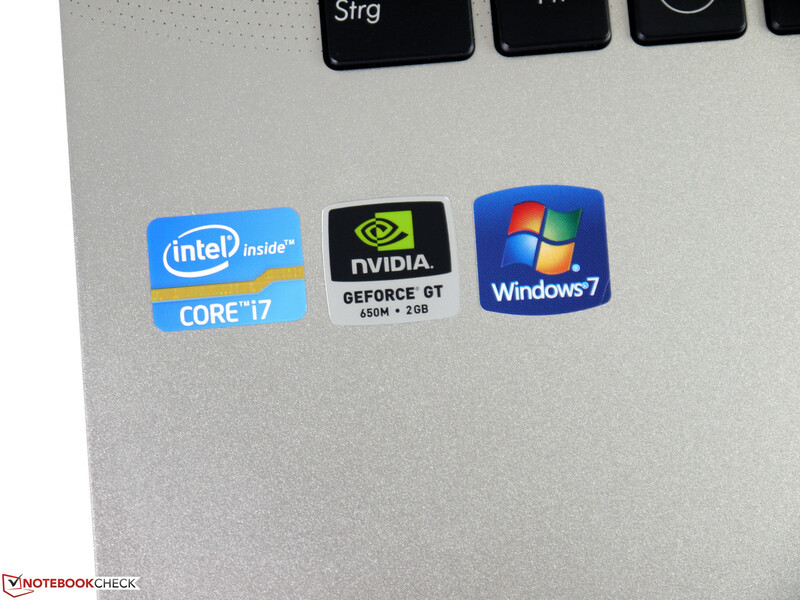 Altogether, the N76VZ is the more recommendable multimedia notebook, because the surcharge for the Nvidia Geforce GT 650M is currently around 10 EUR and therefore very low compared to other equipment options (N76VM-V2G-T1008V to N76VZ-V2G-T1011V). ...that could be placed better. ...but is louder and slower than a SSD. The good features of the weaker N76VM version have been kept with almost no cuts and a good compromise between performance, price and equipment has been found. Optional configuration with SSD, an alternativ battery with higher capacity and better accessibility of inner components, such as the air fan, for maintenance. 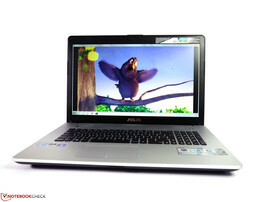 Asus offers with almost all models very interesting computers, which repair the former rather damaged image. 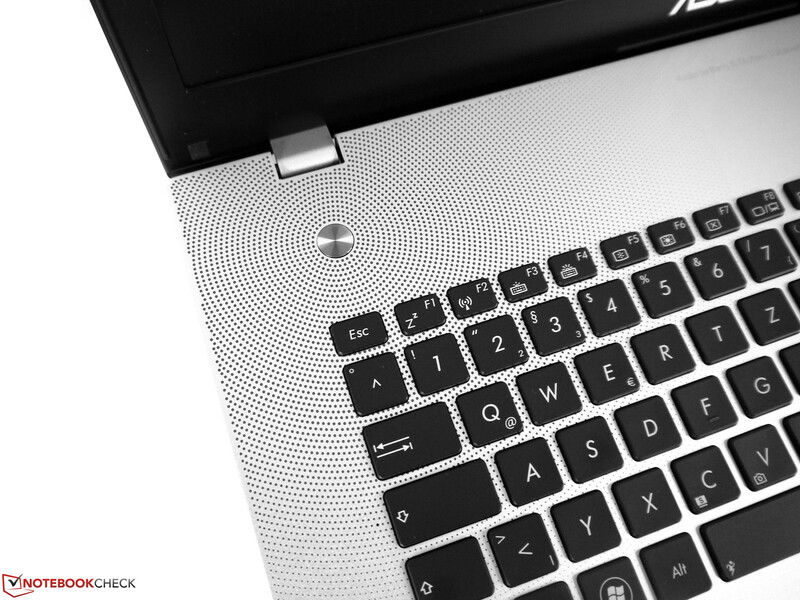 If the support reaches the same level, Asus will have improved a lot. 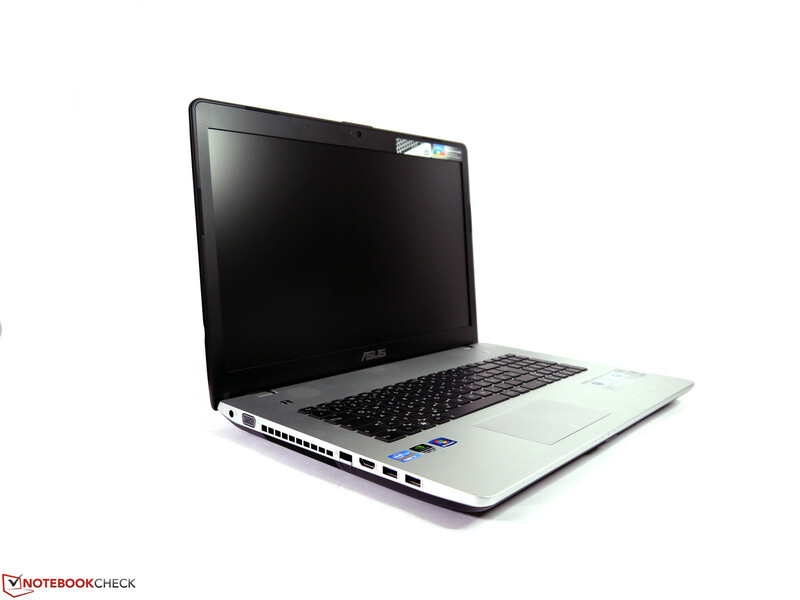 For instance, the Asus N76VM, Samsungs Chronos from the series 7 with significantly better mobility or the Acer Aspire V3, with weaker display, however.